It’s that time of the year. 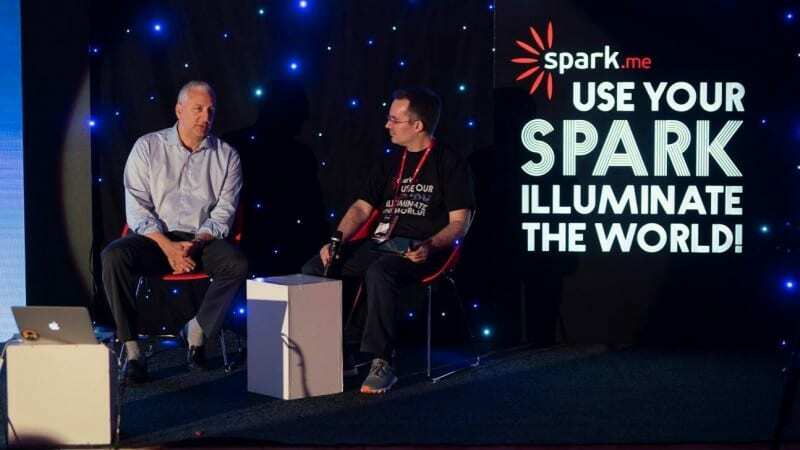 Sunny spring days at the end of May are always reserved for the Spark.ME conference in Budva, Montenegro! This year, the motto of the conference is – “Use your Spark, illuminate the world”, asking us to find the beauty and passion in our inner selves and showcase it to the world. The conference program director, Vladimir Vulic has opened this year’s conference with an inspirational speech on what Spark.me means to us. We strive not to make the biggest conference. We can’t outspend other conferences around the world, but we can indeed outcare them. The main goal of this conference is to build a community among its speakers and attendees over the years, and the whole Spark.ME team is doing everything they can possibly do to meet the rising expectations year after year. We have had the honor of welcoming Mark Schaefer to deliver the opening keynote this year, and what a speech it was! Titled “The Future of Marketing is YOU” Mark explained to us why the current marketing strategy is failing. When brands do things in a quest to earn our loyalty, we have straight up tendency to have negative emotions about it. We don’t see ads anymore. Even if we do see them, we don’t believe them. In order to succeed and get the attention of our audience today, we need to do our best in showing our brand to be as human as possible. Between now and 2020 the amount of information on the web is going to increase by 300% and it’s going to be a lot harder to cut through the noise of all devices and networks that people are using to connect and interact. Ad impressions are a metric that belongs to the past; what the brands of the future will be judged on is their human impression. Personal branding of employees of a company is going to become bigger and bigger part of a corporate brand. Success of the marketing efforts for the future relies on the ability to produce content that is relevant and superior, while finding the audience that it means something to. Also, user generated content and partnerships with influencers are very important parts of marketing strategy. They are the people who move the content, and you need to create it in a way that they will want to share it. 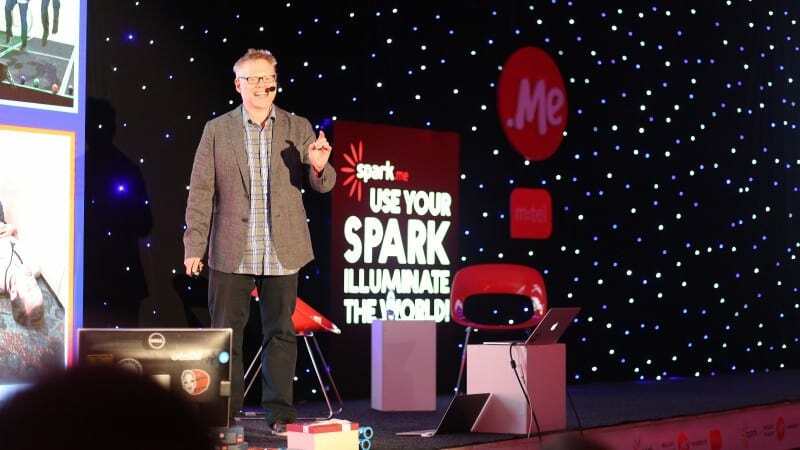 Second to come on stage was Jon Burkhart, whom we have the privilege of welcoming for the second time on the Spark.Me conference. In a really quick-paced and thought provoking performance, Jon challenged us to apply curiosity to every step of the content creation process in order to create it in a BALLSY way – Brave, Actionable, Likeable, Long-lasting, Surprising and You Centric. Over the years we’ve mastered distraction everywhere around us. That’s why it’s just getting harder and harder to focus on what is important everywhere around us. When you use curiosity, by questioning the things that other people take as given, you can start using your creativity on a much larger scale to create quality content. Jon advises us to be unpredictable and ready to take bold and brave steps to get the attention of our target audience. We should question everything, like a child. We have had the privilege to discuss how it all looks like in the self-made digital entrepreneur world with Xenia Tchoumi. Growing through the modelling years in Europe was difficult enough on its own, but she managed to get to the very top while starting her fashion influencer business and scaling it to over 7 million followers in total across all platforms. In her own words – what separated her from a lot of competition in the fashion industry is consistency and ability to work and be connected every single day. The only way to be successful in the digital world is to really engage your personal side on social media consistently, and not give up too soon. In her words, not having the biggest numbers, but the structure and presentation of your work is the most important criteria on whether the brands will approach you to collaborate or not. Over many millennia, life has evolved from single-cell organisms in the ocean to the humans that we are today. The question for the future is – what do we, as humans, want to become in the future? His childhood friend, Moon Ribas, who is a dancer, is also a cyborg that has developed a seismic sense – the ability to detect vibrations in her body whenever there’s an earthquake anywhere on the planet. She noted that it is like she has two heartbeats – her own and the one of the planet Earth. Seismic sense is a work of art, but one that lives inside the artist. As such, there are different ways she can express that artwork to the world – percussion being one of them. Once she performed in Greece, and her score consisted of the entire seismic activity that the country has experienced in the past fifty years in a 10 minute performance. According to them, we will have more and more abilities to design our own senses in the future and become cyborgs – and then we will be as blind as we want to be. How to be memorable in the marketing world? 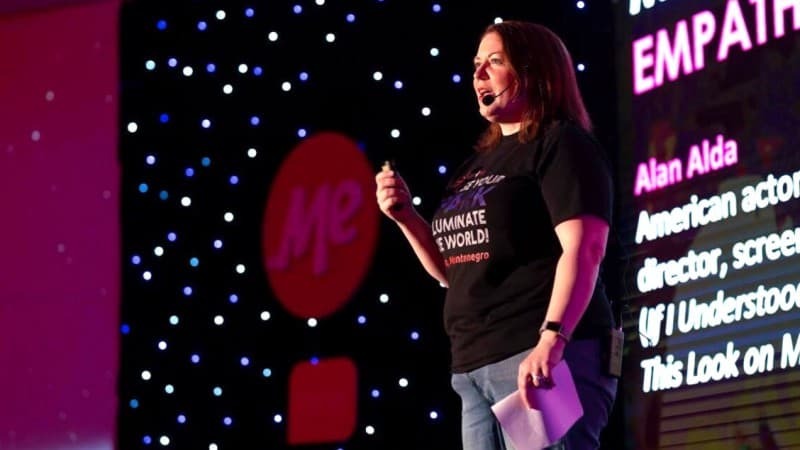 Kerry O’Shea Gorgone delivered us the secrets that she has discovered over the years of interviewing successful people in her podcasts in a really thought provoking lecture on creating great content. Memorable marketing content is all about empathy and that requires both knowledge and concern about what your customer wants. What separates great writing from bad writing is the helping mentality and very specifically focusing on the needs of the reader, and not on what the writer wants to say. Great marketing content starts with happy people – if you are not happy with what you do, you can’t do your best at your given task. Given that, you need to create a business in which nobody works for you, but with you. We are in the business of human reaction. We are not making a product, but an emotional reaction that we want to invoke in people when they interact with us. If you are not creating a right emotional reaction, you have a lot of work to do. Your marketing and your writing need to have a heart! Up to this point our minds were sparked with so many great ideas, but there’s been even more. To deliver the out of this world closing keynote for the first day, we had the pleasure to welcome Mike Massimino, a Columbia university professor, former astronaut who appeared on The Big Bang Theory! He lit up our imagination telling us his life story, from watching the Apollo mission land on the Moon, wearing a costume of an elephant that his mother had converted into a spacesuit, to actually becoming the person that he aspired to be. As a university graduate he had worked at IBM, but left that job in order to pursue his dream. He came back to academia and went to MIT, where he got two masters degrees. He pursued the efforts of landing a job at NASA, persistently applying – three times and getting rejected. Finally, when he applied for the fourth time he got a summer job and his astronaut career kicked off from then on. Overall he spent 26 days in space during his career and is known to be the first person ever to tweet from space. He had even managed to bring his Snoopy childhood toy to space so that they can watch together 16 sunrises and 16 sunsets in a single day. As a frosting on the cake, to officially finish the first day of the conference we welcomed the startup teams from the region – OWL (Montenegro), MARLEQ (Montenegro), Daktilograf (Montenegro), Top Digital Agency (Croatia), One Assessment (Serbia), HOTEO (Serbia) and zVision (Serbia). 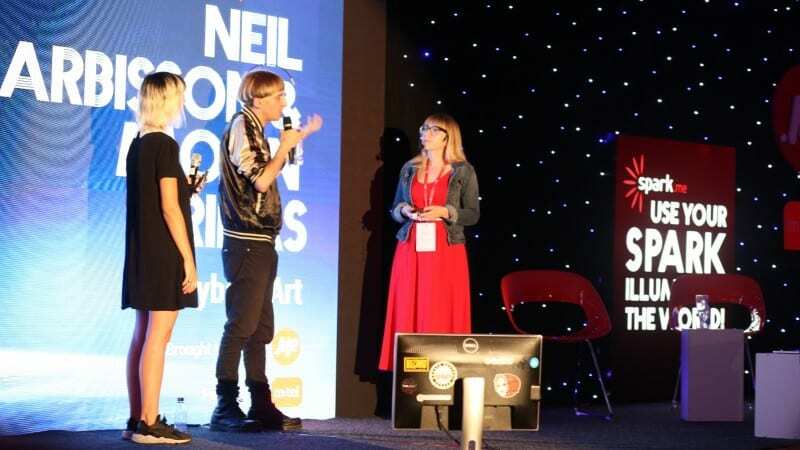 They pitched their ideas hoping to get through to the finals tomorrow in order to win the great prize – TechCrunch Disrupt Startup Alley presence and a trip to San Francisco. HR and mediation were especially interesting topics in this year’s lineup as more than half of the competitors were startups in these fields. What happens when a #marketer, and #astronaut, and a #cyborg walk into a bar??? 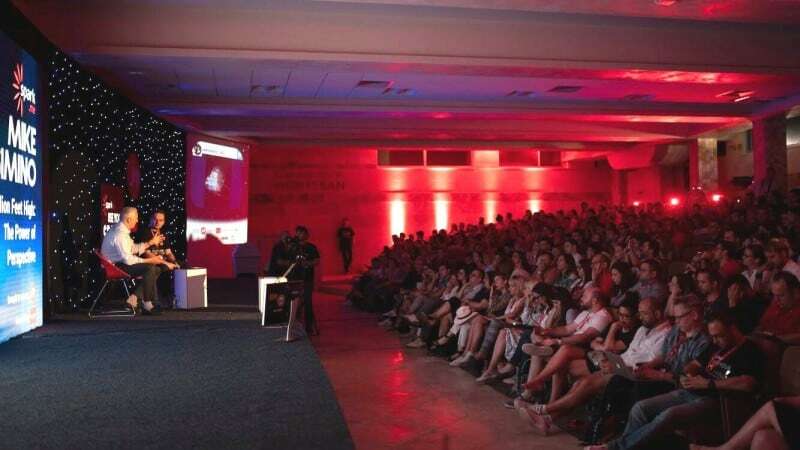 Find out tonight the #SparkMe cocktail party!! !